Chimeras that are in shaded areas may not be in our inventory or are used as a reference. Single chimera lavender/dark purple stripe, dark purple fantasy. Medium green, long folia foliage, quilted, hairy. 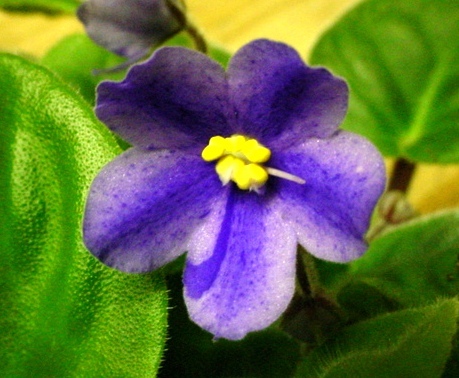 Semi miniature. 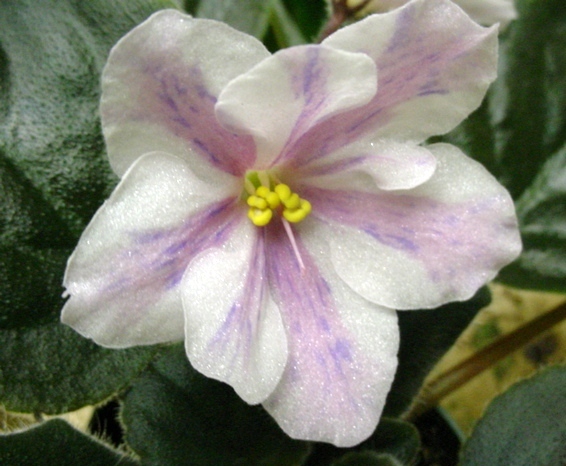 (R Albro/N Turner) - Semidouble lavender with a dark blue fantasy Markings on plain medium green foliage. Large chimera. Mammoth, semidouble and double stars of white, are edge striped in blue. The standard foliage is medium green and plain. 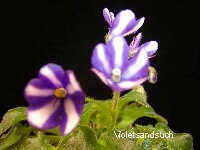 Soft pink chimera, single and semi double pansy with purple/blue center stripe. 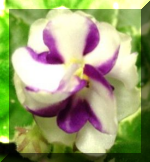 Standard foliage, variegated with cream; shapes nicely. We do not sell from these pages. 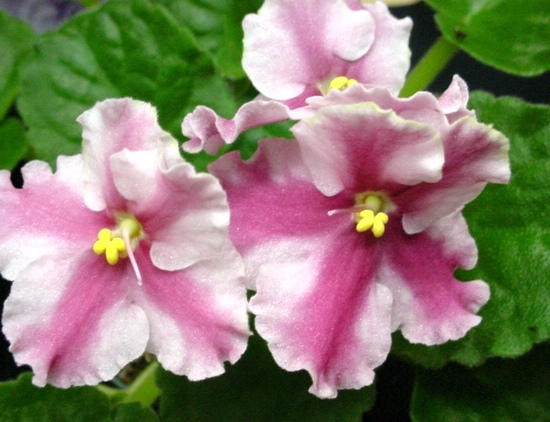 To purchase plants, visit our store page. This is list of our collection - but does not mean these are ready for sale. 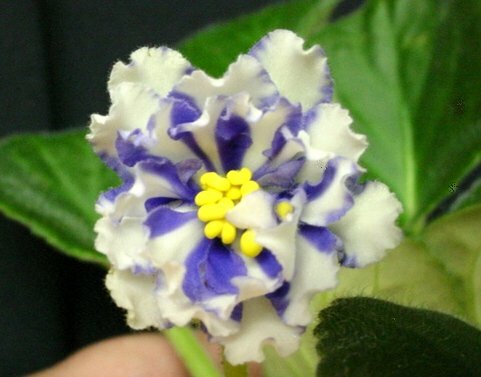 The store page updates daily with new plants that have bloomed true, so keep checking back!